Every year, come Thanksgiving, we sit back and think about all the things in which we are thankful. In my previous post, A World Worth Living, I asked, "When you look to your left, what do you see?" Today I am going to ask, "When you look to your left, who do you see?" 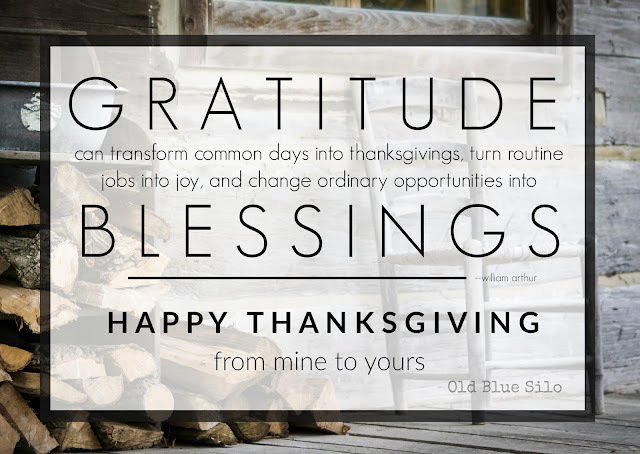 Whether you're gathered around a table passed through generations with a home-cooked meal, around the TV watching the Lions play the Bears or hanging out in a hotel with pizza, who is surrounding you today, on the day we give thanks for all that we have? The other day, I heard an ad on the radio that really bothered me. Verizon is not having a Thanksgiving sale. They're having a Thanksgetting sale. Granted, I know Verizon is just trying to market and sell a product with catchy words. But let's really think about that word. Now, let's think about that single mom working the only job she can find in retail, whose been scheduled to work on Thanksgiving Day just so someone can get their $200 TV or $10 sweater a day earlier. When this woman looks to her left, she won't see her family. She won't see her dog. She won't see her friends. She will see two people fighting over a Smart TV. It's time for a change in this world. More gratitude and less attitude. I was driving home from work after a mentally exhausting day. No, week. But, that doesn't make it a bad week. Not at all. Because I get to do things that I love and sometimes the things we love exhaust us. A million thoughts were running through my head as I pulled up to a stop sign near home. Right then and there, I felt like I reached a point where I could no longer find the strength to keep that gas pedal going. I looked to my left and saw this. I have been so busy that I haven't been able to see the sunset in days. I rolled down the window and turned the vehicle off. The crisp, cool air hit my face. I sat there at that stop sign for five minutes. In silence. There's a lot of sad things going on in our world right now. Things out of our control. Things we may not understand right now. Things we may never understand. We are all at war, fighting a battle. When you look to your left, what do you see? What are you fighting for? This is not just another picture of a sunset in my neighborhood. The reason I keep pressing the gas pedal. My world is worth fighting for. If not, it's time to change your world. I don't give a hoot what Starbucks puts on their red cups. Christmas is like, 100 weeks away. I haven't even had my turkey yet. For now, I'm going to sit here, enjoy the beautiful colors and listen to the geese honk as they fly south. 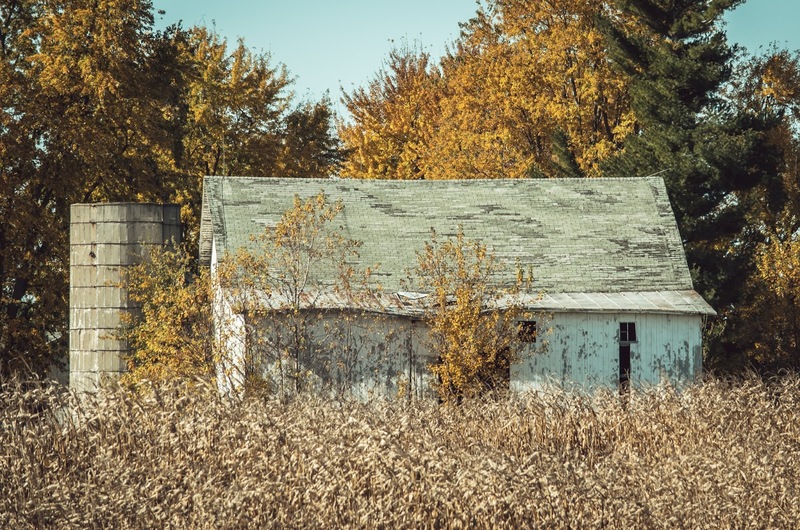 Why do Farmers Take Down Old Barns? 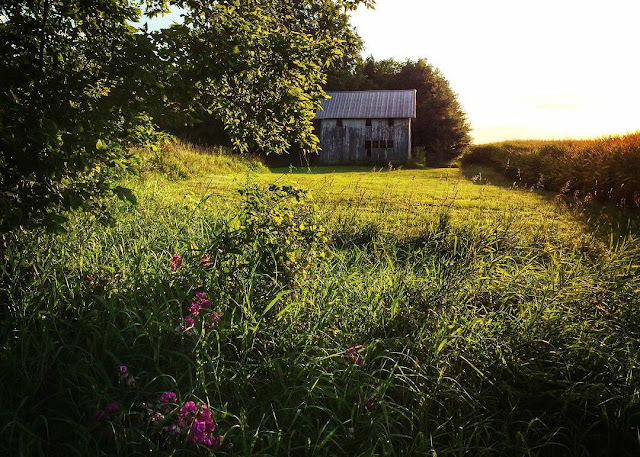 Do you ever wonder why farmers take down beautiful, historical barns? As a farmer and member of the Indiana Barn Foundation, I get asked this question a lot. This subject is a hard one for me to swallow. I understand the farmer's perspective but I also understand the one of a historical preservationist. As I mentioned in my previous post, Last Chance for Indiana Barns, barns built before 1950 are falling at an alarming rate. Historical barns are no longer practical for today's production agriculture needs. As more and more people have moved off the farm and into the city, current farmers have taken on the burden of producing more and more. 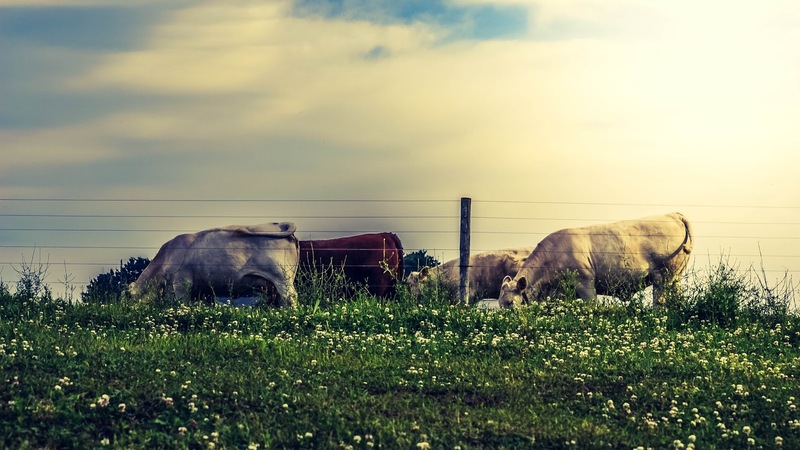 Livestock herds and machinery sizes have grown tremendously in the last 60 years. I often hear that farmers are "selfish" for buying ground with an old barn on it and just knocking it down. I don't necessarily see the person performing the common act of tearing down an old barn as selfish. A farmer or property owner has to look at their financial well being. If you own a barn that is falling in, you have a dangerous structure on your property that puts you at a liable risk if yourself or someone were to get hurt. One may have an appreciation for barns like I do, but may not want to put the funds necessary in the restoration. It truly is a tough, financial decision to make and that's why I understand it. Just to give you an idea of the financial burden to put a new roof on a barn, you are looking at anywhere from $10,000 to $30,000. To repaint a barn properly, you are looking at $8,000 plus. By this point, we are close to $40,000 in the hole just on a roof and paint. Now, look at the home where you live. Let's say it needs a new roof as well. 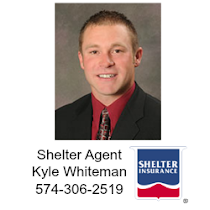 If you only had enough to repair one structure, your home or your barn, which one are you going to choose? More than likely your home. 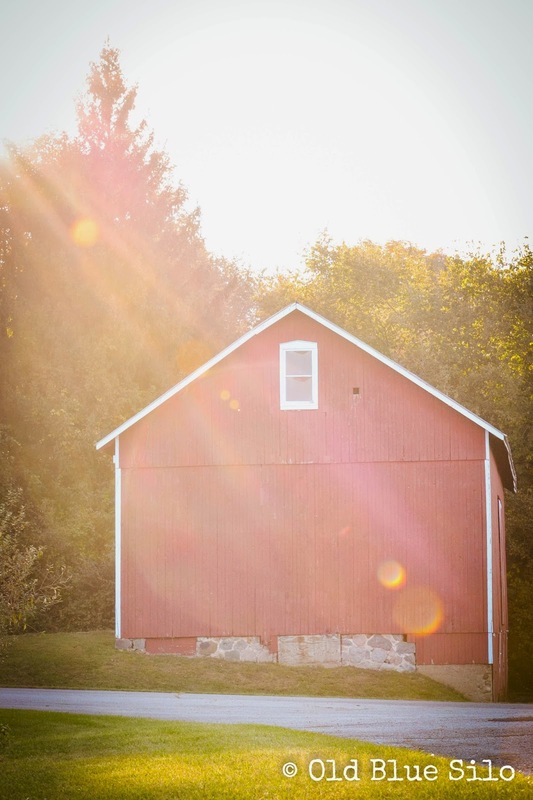 To put things in perspective financially, owning a barn is like owning a second home. 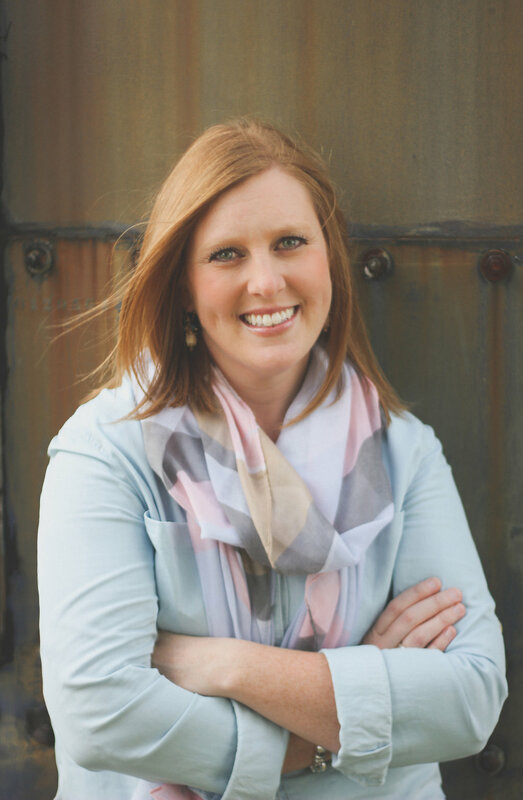 I first experienced harvest with my husband's family 7 years ago back when we had just started dating for a summer. I remember riding in the combine with Dan for many hours on end until his mother's vehicle came rolling up through the field. Staring at the corn feeding into the head, he glanced up and casually says, "Lunch wagon is here!" We climbed out of the the combine and walked towards the vehicle as the broken corn stalks crunched under our boots. Kathy opens up the back of her vehicle and there it was.... a whole spread of food. Almost an entire Thanksgiving dinner, if you will. She had everything from the main entree of beef and noodles with mashed potatoes and creamed corn to an appetizer of cheese and crackers to your choice of iced tea or water and even dessert. I was also even shocked that she had brought her table ware right there to the field! No Styrofoam plates or plastic cups and your drink was served out of a mason jar. I was honestly expecting sandwiches tossed into a brown bag so this was a surprise. And right there began my first of many, many multi course meals in the field. Driving down an Indiana back road, you'll come across an overgrown lane that leads to a place that once was. There's one on every rural block. The sun will set and rise again over these old farms. Day after day. Year after year. Until they are no more. Our modern lives can coexist with these landmarks of our ancestors. If we let them. We've been so caught up with making things newer, faster and more efficient. The wool is slowly being removed from our eyes as we realize what we have been throwing out. I spend a lot of time traveling our back country roads especially on nights like tonight. The weather fair, a beautiful sunset as all is quiet on the horizon. As if not a single soul is around for miles. It was a perfect Friday night to end a busy week. Life just feels so busy at times. The moment I wake up in the morning until that very moment I am lying in my bed at night stretching my eyes open just one last time, my mind is racing a million miles a minute. But the moment I come across an old, abandon homestead, my mind completely stops. My busy life stops for just a moment. A moment long enough to realize that there is more to this world then our present. Amongst our present is a world that has completely and utterly stopped. History is a precious reminder that life isn't forever. History, however does live on forever. The lives we live today are creating a foundation for the lives that will live on tomorrow. And I think that's why I love these old farms so much. These old farms have created our foundation. A foundation that has been truly forgiving and understanding in this out with the old, in with the new world we live in today. 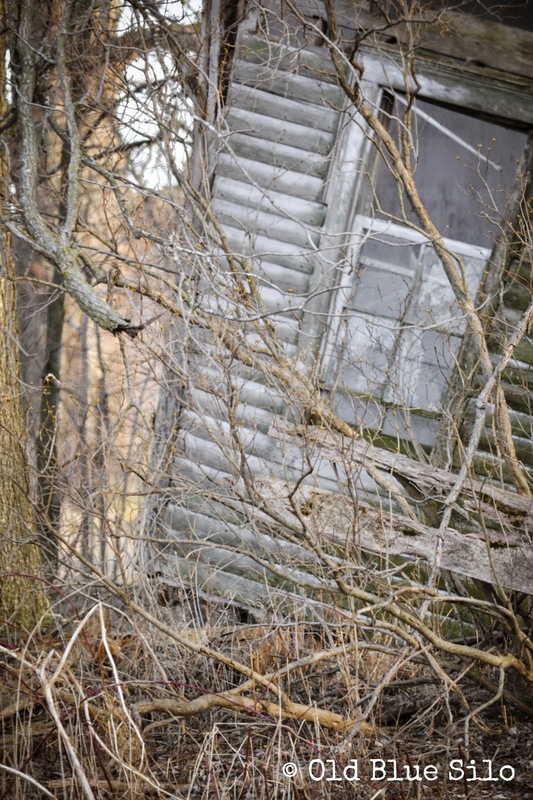 Historic Indiana Barns built prior to 1950 are falling at an alarming rate. To paint you a better picture, I often hear a chilling statistic. Just over a decade ago, 30,00 barns painted Indiana’s rural landscape. In this past decade alone, we have lost 10,000 which leaves us with only 20,000 barns. You may think that 20,000 is a big number. What you don’t realize, is the amount of barns on the verge of falling down in the mix of that 20,000. This means 2.5 barns have fallen in the Hoosier state EVERY SINGLE DAY in the last decade. 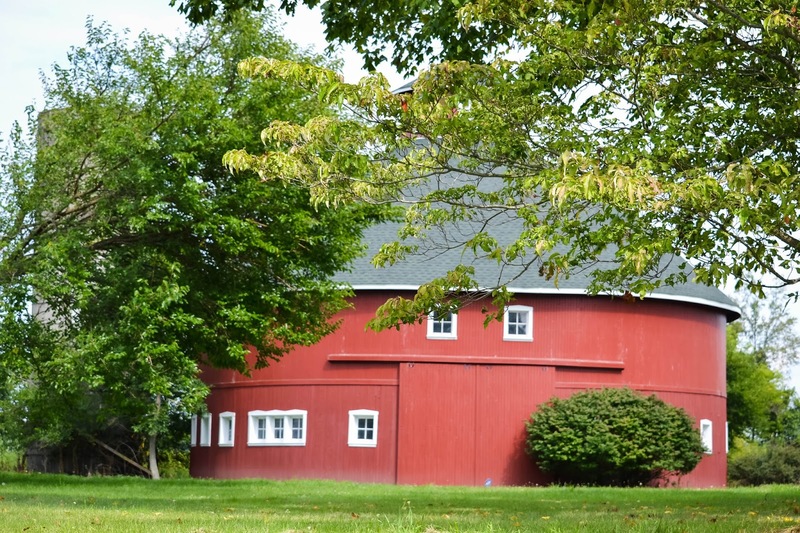 Many historical barns need a new roof, a new foundation and new siding in order to survive. 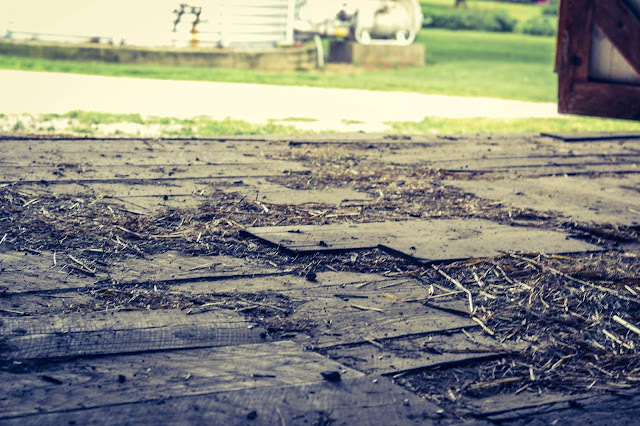 You and I both know what’s keeping many from replacing a roof, foundation and the siding on a historical barn. Families who inherit a historical barn upon purchasing their property struggle with replacing the roof on their home, let alone a barn. There are also many families who can afford to put money into their barn but don’t understand the need to. About this time of year, my husband and I get asked a certain question on a daily basis from colleagues, friends, neighbors, etc. How do your crops look? Typically in agriculture, we call this the growing season. I think it's the hardest part about a farmer's job. Seed is in the ground. Pesticide and fertilizer have been applied. Then, it's time to watch the crops grow. 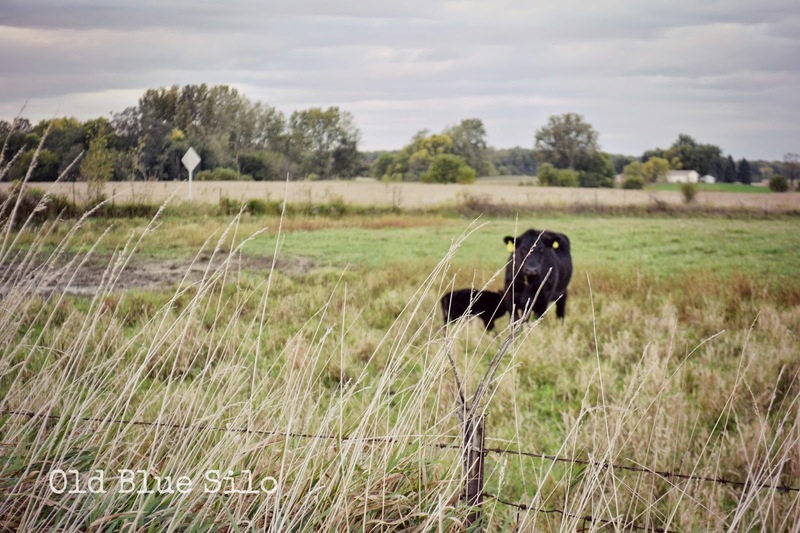 What makes this the hardest part about farming is the unknown. We don't know how much or how little rain we'll get over the course of the summer. We don't know if once the seed is planted, we will have a late frost. What kind of storms will we get? Will our crops have hail or wind damage? What about insects and fungus? Will there be a weed that takes over? It's all up to nature. I think this spring and summer have been exceptionally hard on our local farmers here in Northern Indiana. Four years ago we had no rain. This year we have way too much rain. Too much rain could be just as bad as not enough ironically. I was recently asked to help out a friend with some photography for a Father's Day gift. This friend's father, uncle, brother and cousin operate a relatively large grain farm in my neighborhood. I've grown particularly fond of this family through their modesty, honesty and hard work. I've recognized their good character since I started dating my husband years ago before I even lived here. Just like any industry, it's easy to lose touch of your roots as you grow and become successful. But, you don't see that when you visit the Ron Clauson farm. So. I've been thirty. For roughly... two weeks. But not quite. I'm not going to lie. I was dreading my 30th. I moped. I wined. I cried. I curled up in a ball and hollered for my mom. She didn't come though. I don't think she could hear me at 20 miles away.... but it was worth a shot. A good friend and I were texting not long before my birthday. We were making plans for the weekend. I said something along the lines of, "Let's go do something fun. I am going to be thirty. Eek!" She replied back with some words that I will hold close to my heart for the rest of my life. 30 is only a number, Kel. You will be just fine. You are successful, admirable and so thoughtful. Just adds more wisdom to your years.... It's all about how comfortable you feel with who you are in life. But seriously. She is right. 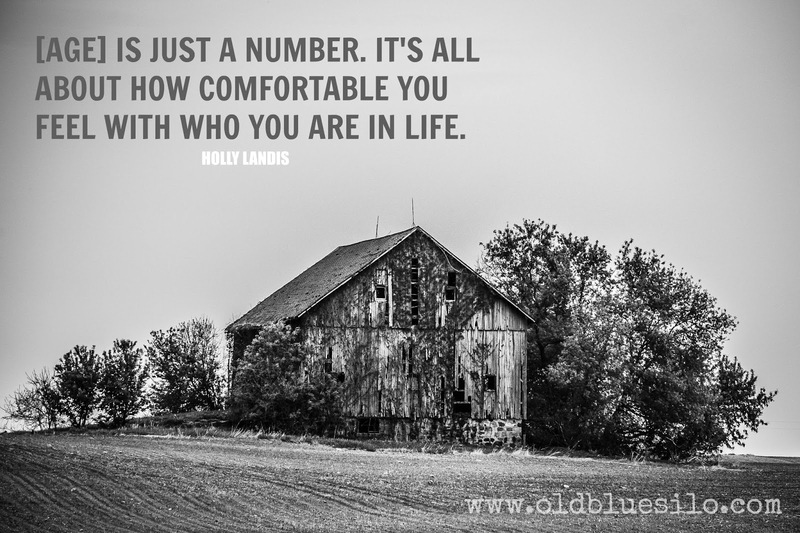 It truly is about being comfortable with who you are. You hear the saying, 'The best years of your life' a lot. Some may refer to those years as being in high school. Maybe those college years. Some may refer to those years at retirement. Some as newlyweds. But really, how can you define the best years of your life when you don't know what's yet to come? We don't know what tomorrow will bring. Heck, we don't know what next year will bring. Life. Is full of surprises. Whether you're 3. 30. or 93. Go out and have the best fricken years of your life. Every. Single. Day. For the rest of your life. We have been in the midst of planting field corn and soybeans here on the farm. I always fall into a different state of mind when we plant crops, have crops in the ground and harvest the crops. My passion for agriculture tends to grow more and more each spring. From April to November, there's a lot of hope. 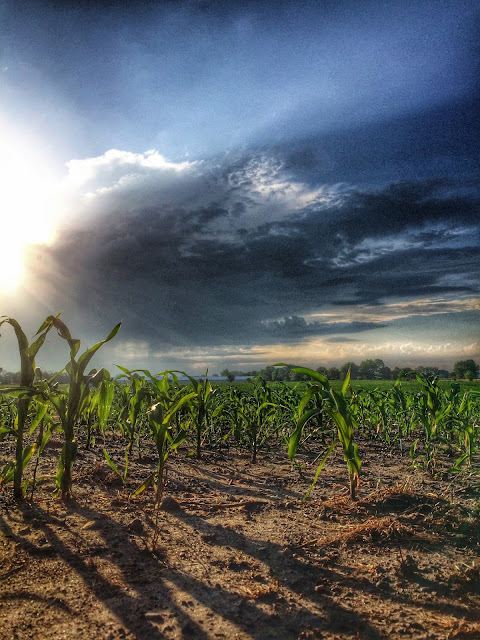 When we want in the fields, we hope it doesn't rain. Once we get in the fields, we hope the equipment runs smoothly. Once seed is in the ground, we hope it does rain and we hope it doesn't frost (or snow). We hope it rains enough and not too much. When it storms, we hope it doesn't hail or we hope the wind doesn't blow too hard. We hope it's warm but not too warm. During harvest, we hope the rain holds off until all the crops are out. We continue to hope the equipment once again runs smoothly. We hope that we are doing all the right things so that our land is fertile for next year and years to come. We hope the commodity prices are in our favor so we can pay operation bills so we can break even and maybe even make a little extra. We hope that someday, we will have the opportunity to rent more ground. We hope that we would be making our ancestors proud. 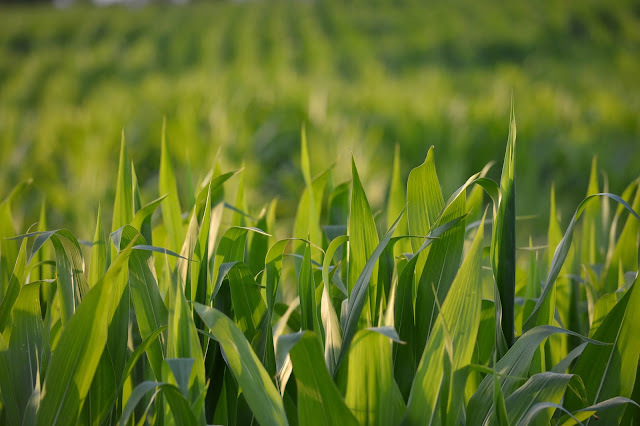 Hope, in agriculture, is just as important as soil, water and air. Hope is more important than money. You can buy the best equipment, the most ground and operate a nice grain facility but if you lack hope, you're going to fall. 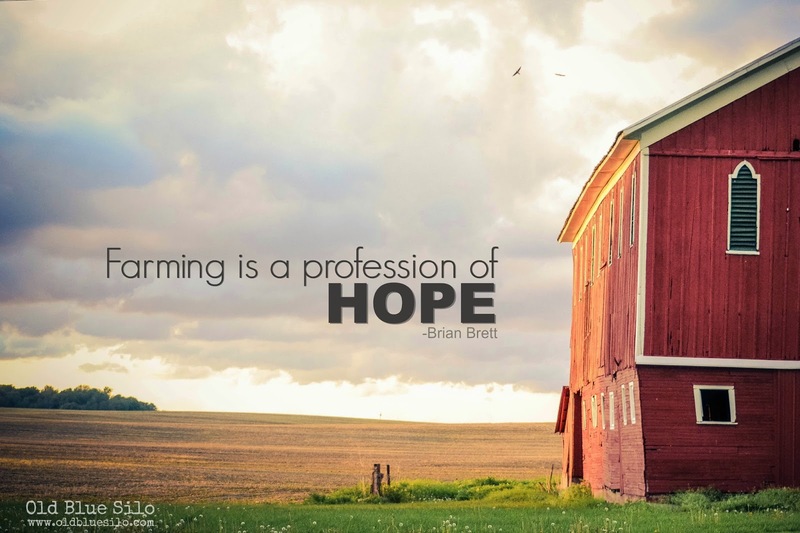 Hope in agriculture is something that money can't buy. It's something you're born with. Hope lies deep within your passion and love for the industry. Hope is what will carry you through the hard times and it will carry you through the good times. It's not something that can be put in a will, or forced upon someone, but hope is something that can pass through generation to generation. Hope is a choice but it's a choice your heart makes; not your mind. I wake up every morning and I see the hope in my husband's eyes. It's what drives my hope. Hope allows us to dream. It allows us to follow our passion. It allows us to believe in ourselves. Without hope, we wouldn't have soil, we'd have dirt. We wouldn't have a passion, we'd have a job. It's a word you can't see but you can feel it. Even when everything seems to be going wrong, there is always hope to make everything right. The only thing I don't have to hope for is hoping we are where we're suppose to be. As you know, Mother's Day is this Sunday. Tomorrow, actually. This Mother's Day is pretty special. It's the weekend before my 30th birthday. Yes, the BIG 30. And I was the first born. We will be celebrating my mother's 30th Mother's Day. I do realize that I was born after mothers day so it only would technically be her 29th but I am hoping Mother's Day was celebrated 30 years ago on the account of my incubation. It's not very often someone can say they've been doing the same thing for 30 years. Heck, I've played every sport imaginable, changed from hobby to hobby, held many different best friends, changed my major in college 5 times and have worked enough different jobs to count on 10 fingers and maybe even 5 toes in the last 30 years. I really can't say that I have steadily done the same thing for 30 years other than brushing my teeth. My mom has been a mom for 30 years and not once has she quit, thrown in the towel or said she didn't want to be a mom anymore. I'm sure there are times that she wanted to give up......... but one thing I've always noticed about my mom is that she doesn't give up. 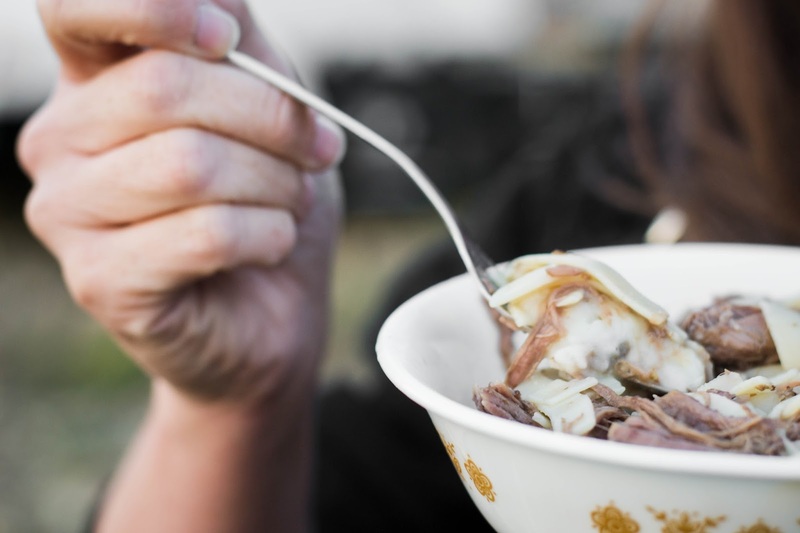 I am slightly embarrassed how long it's been since I posted a recipe here on Old Blue Silo. Recipe posts are often times pretty intense. Food photography is extremely challenging. Half the time I cook without a recipe so when it comes down to sitting down and writing the recipe, I have to figure out how to translate measurement. I need to be honest with you. I just haven't cooked that much this past year. I started a job last summer that involved many hours during my week and I never really fell into a cooking routine that worked for us. I recently accepted a new position that I believe will allow me a little bit more flexibility to start cooking more often. I am pretty excited. I love to cook. I just don't love it when it's rushed. 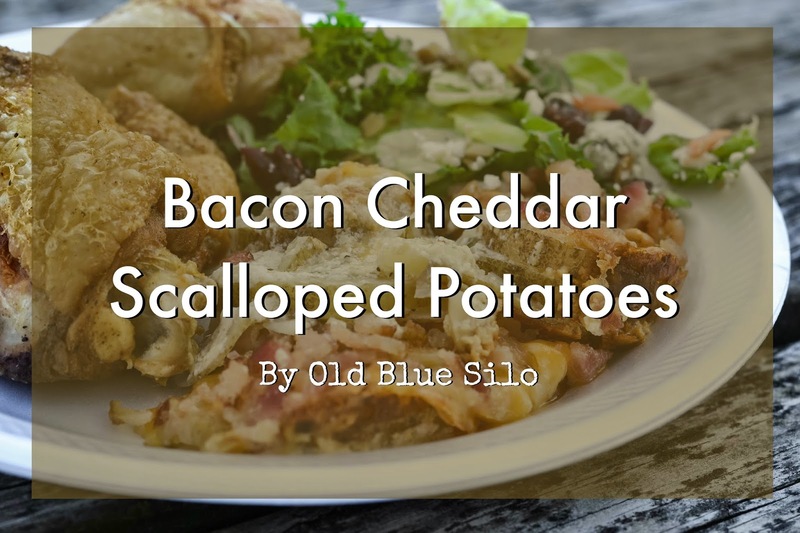 Today, I am excited to finally share my go-to potato side dish with you. I typically only make this dish for large gatherings. This is one of the first recipes I wrote on my own and one of the first recipes I made after meeting my husband. We were having a large harvest party one fall when we were dating and I needed several dishes to set out. I researched and researched how to make home-made scalloped potatoes. I took several recipes, combined them and added my own twist. I recently took this dish to my husband's family Easter dinner. Many were confused why I was outside at the picnic table taking pictures of my plate of food. Once I explained that I was going to post the recipe on my blog, Internet disconnect Granny thought I was going to post my recipe on a billboard next to the road. She was confused. I was confused. This recipe is not going on a billboard. Lately, when I pull up to my house, I take a look around and think to myself, "BLAH." I know spring is here but it just doeset' quite feel like it yet. Spring has been very slow this year. The grass is still brown. The trees are not budding and there are no signs of flowers anywhere. Just dead growth from last year. I thought this year I would bring some color to my porch to eliminate that "BLAH" feeling by adding in a bright color to my decor. I'm not much of a yellow person, but I've really been inspired by it lately. 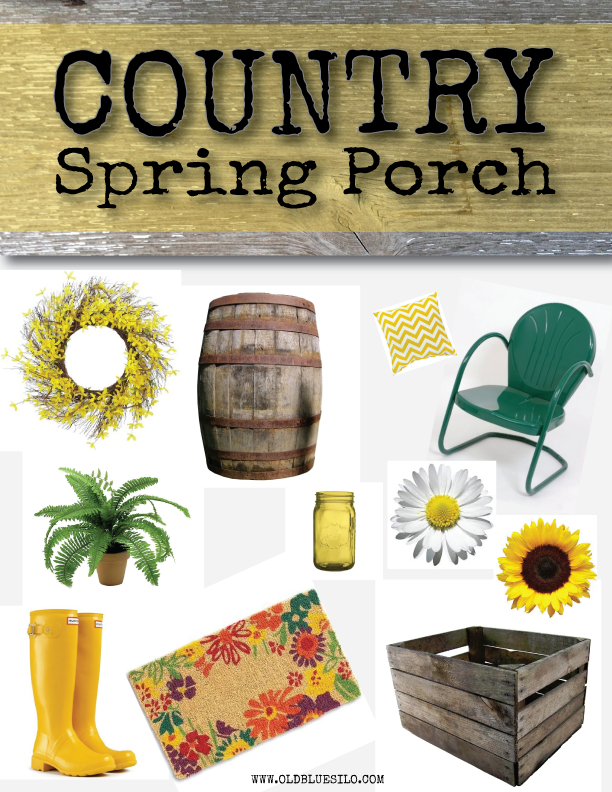 I think yellow is exactly what my front porch needs. Typically, I usually decorate with pretty rustic items, mostly antiques. I thought it would be fun to incorporate some bright items with my rustic pieces. I put together the above inspiration board to get some ideas of what to look for when I am out and about. The barrel, chairs and crates are already there! I also have a few Pinterest projects in mind that I might give a try if I have time before we get into the fields. This is my first year to decorate for spring. Usually I just wait until May to pot flowers and that brings color to the house. For some reason, this year, I am just a wee bit antsy and am trying something new! Do you decorate for spring? 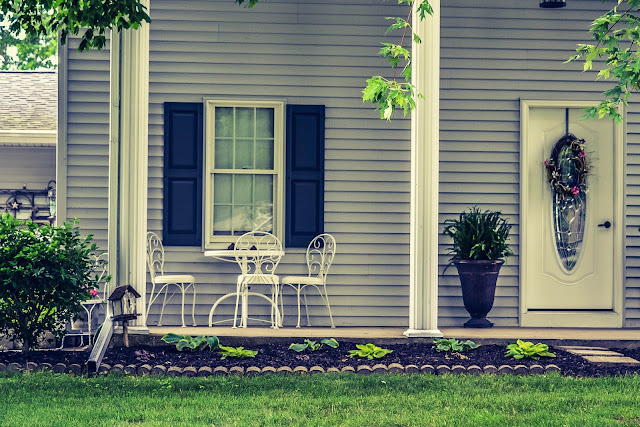 What are you favorite spring colors to add to your porch? Last weekend, I ventured out and worked on some photography locally. I came across an old farmhouse that was well passed falling in. This house was literally hanging on by a thread. The window, on the far left side, was still in tact. It's exterior wall created a barrier that was keeping me from seeing into the rest of the house. My mind eye kept levitating towards that window. What was inside that room? Was it a living room? The farm office? I kept imagining a little boy dropping his toy on the floor and coming to the window to stare out. Eventually that little boy's face was there. Clear as day. I promise I didn't see a ghost. It was just my imagination running wild. Sometimes home to us is where we grew up. Where we "started" from. To some of us, home is where we live now. Where we hang our hat. Where we keep our families and our pets. 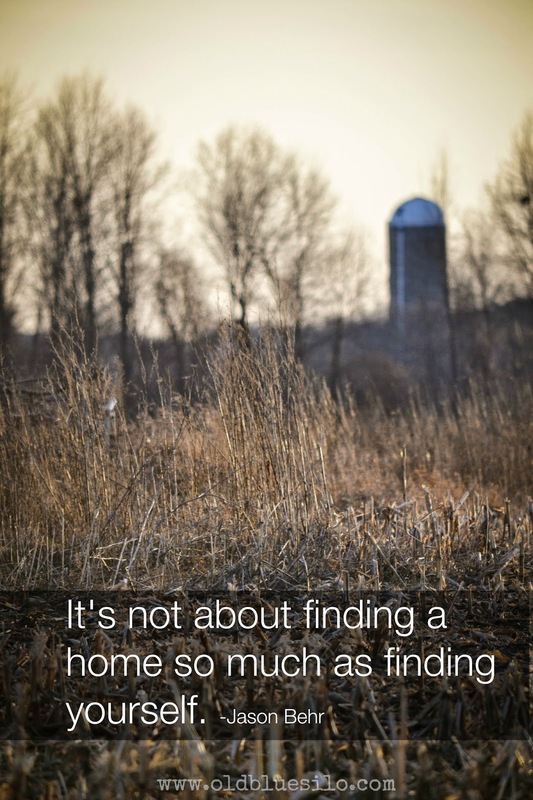 A home isn't a place. It's not a person. It's not a thing. It's not something we can touch. It's a place of comfort. Comfort. It's a feeling we all strive for in life. I took the back roads home from work tonight. I needed a change. The highways get old. All the snow from this past winter is melting down as it got up to the 40s and 50s this week. I was enjoying my drive but there was mud just everywhere. As I thought about spring coming and the sunny, warmer days ahead, I tried to forget about the mud. Every change comes with a price. Lately, I've been in a funk. Not a stinky funk. A blue funk. And I am blaming the old man. No, not my husband. Old man winter. It's funny. 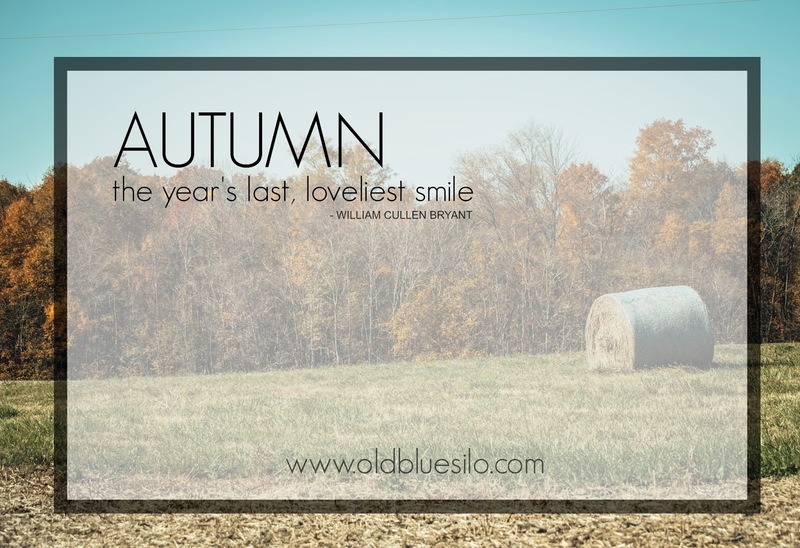 Many of us, come October, can't wait for hot chocolate, hooded sweatshirts, cozy blankets and hanging out by the fireplace. Usually winter and I are friends but it's March 2nd and I don't think winter is going away quite yet. I never did quite figure out who "they" is but I usually trust "they" because they're always right. "They" is kind of like your mother, in a sense. But we never admit to either that they're always right. So, we are going to "join them" and beat the winter blues. I took a poll on my Facebook page last week asking some of my readers how they beat the winter blues and here's what we came up with. Some of my readers happen to be our own fellow RH girls! Last August, my husband and I were at Best Buy looking at an iPad mini sale going on. He needed one to help him out with his job. I really think he just wanted one so he could play his farming games that he's always playing on mine. Anyways, I saw the Fitbit display and studied the packages. I read them over and over again, impulsively making the decision that I was going to take one of these babies home finally after watching them appear on more and more wrists each time I went out in public. I had been secretly wanting a fitness tracker for quite some time but I had no rhyme or reason why I chose Fitbit as my brand of choice. Like I said, this was an impulse buy. I walked the package containing my Fitbit Flex over to my husband and told him I was going to buy it. He looked at me with a questionable look. "Sounds like a damn expensive rubber bracelet to me." "I promise it's worth it." So get it, I did. 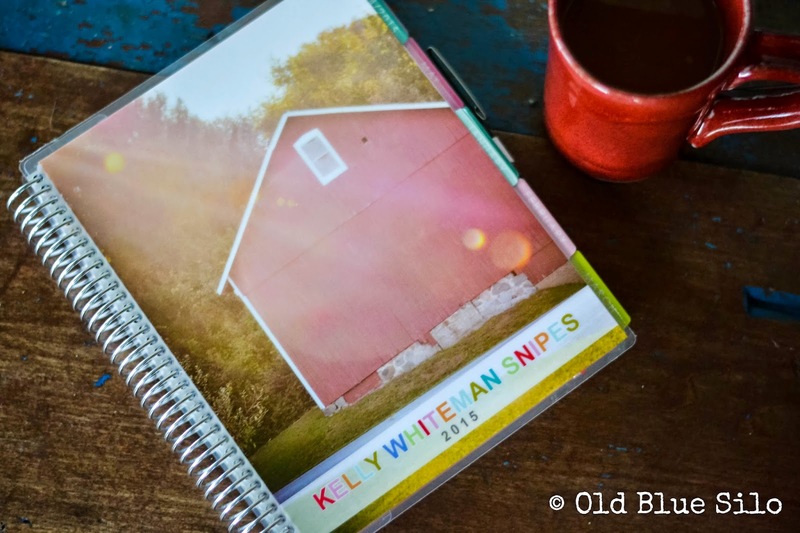 Last year, I ordered my very first planner from Erin Condren and I absolutely loved it! I am not going to go into full detail about the planner as they haven't changed much from the detailed post I created last year. On my 2014 cover, I had a picture of my husband over-looking his grain in a gravity wagon. It's one of my all time favorite pictures. I chose that picture for my cover because I wanted to focus my year on our legacy as young farmers, our relationship and our goals. 2014 was a great year of reflecting and I learned a lot about myself, my passions and what really mattered. They say who with and how you spend your New Year's Eve is a reflection on how your year will go. Well, I say the cover I choose for my custom planner will help remind me how I want my year to go. So, this year, I chose to use a photo I took of a historical barn with the sun setting over it. Recently over the holidays, I participated in a country wide blogger gift exchange called Christmas in the Country. I enjoyed it last year and thought it would be fun to do again this year. Ag bloggers are matched up with a "secret santa" and mail a package of goodies for Christmas. We are given a list of our match's hobbies and favorite things. Everyone tries to find things that not only represent the area where they are from but items their match would enjoy. I was paired up as Jenn from The South Dakota Cowgirl's secret santa. I sent her a candle and tarts locally poured by a good friend, an antique mason jar found on our farm, some Albanese gummy worms, Amish popcorn and caramel corn along with a set of my famous Rustic Christmas Ornaments. I am sad to say I also bought her some chocolate from the South Bend Chocolate Factory but found those in my vehicle after the package went out. Sorry, Jenn! I anxiously waited as many of many of my blog friends posted pictures of their packages. It was kind of fun coming home from work every night to see if I could find out who my secret Santa was! 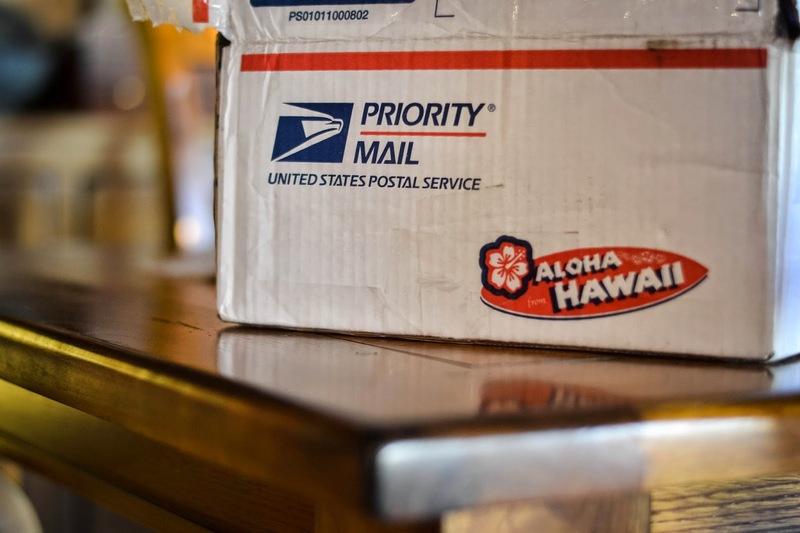 Then one Saturday afternoon, after a long day of work, I pull up the drive....... and there sits on my front porch, a package from.............. HAWAII.